I've been meaning to write a little post for a while now about a delightful gift I received for my birthday. 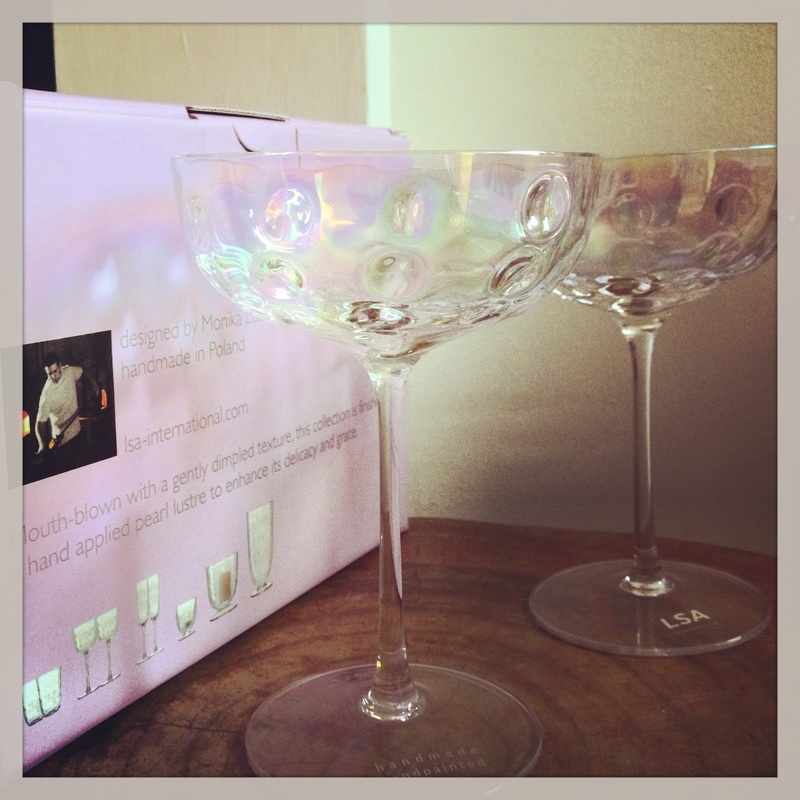 Knowing that I'm rather into wine, my wonderful friend invested in something just a little bit special for me - Champagne Saucers! Just look at them, aren't they beautiful?? 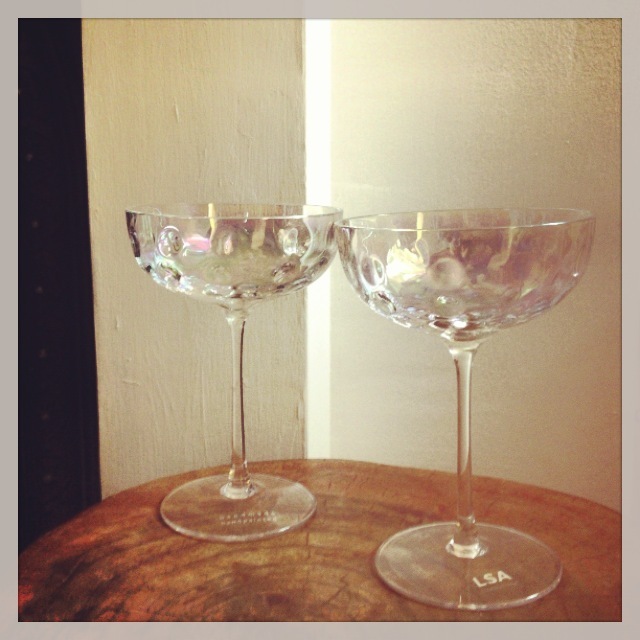 LSA International are an astoundingly wonderful glassware company and this lovely pair belong to the Amelie collection. Supposedly, the reason one normally drinks sparkling wine from a flute and not a regular wine glass is because the narrow opening at the top of a flute prevents the bubbles escaping too rapidly. In virtue of this, the budding scientists among you will realise that Champagne saucers might not be the best option when it comes to longevity of fizz. But should we let practicality out-weight beauty? I think not. Don't worry I've preempted two simple solutions: 1) pour little Champagne and often, or, 2) drink it up quickly! There really is something magical and a tad sophisticated about drinking from these saucers. Maybe it's just me, but drinking anything out of slightly unusual containers brings me satisfaction. I've enjoyed cocktails out of tin cans at the top of Liverpool Street's Heron Tower, and, out of tea cups at Fitzrovia's slightly hidden Bourne & Hollingsworth. Two venues to be checked out for more than just their quirky choices of drinking vessels by the way. If you're itching to get hold of you own LSA saucers (and who wouldn't be?) you can purchase them online, or at John Lewis. What's the most inspiring container you've enjoyed at beverage out of? 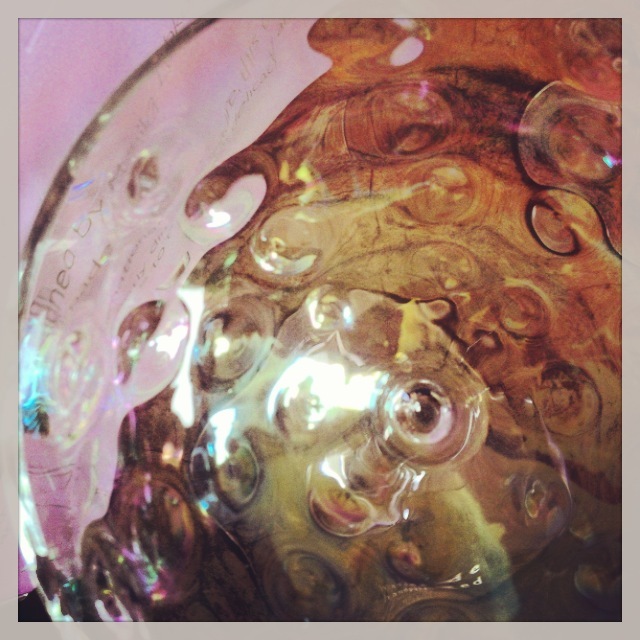 English Red Wine: Glass Half Full? IWC 2013: What do the Results Mean for Consumers?